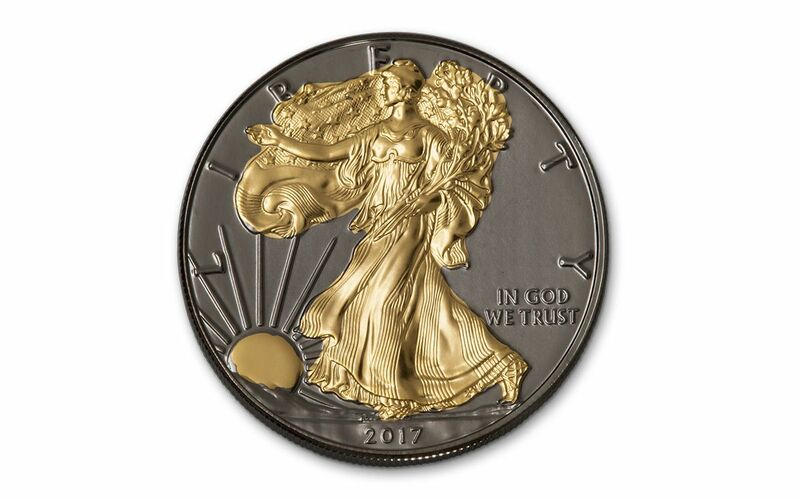 2017 Silver Eagles Clad in Black Ruthenium and 24k Gold! 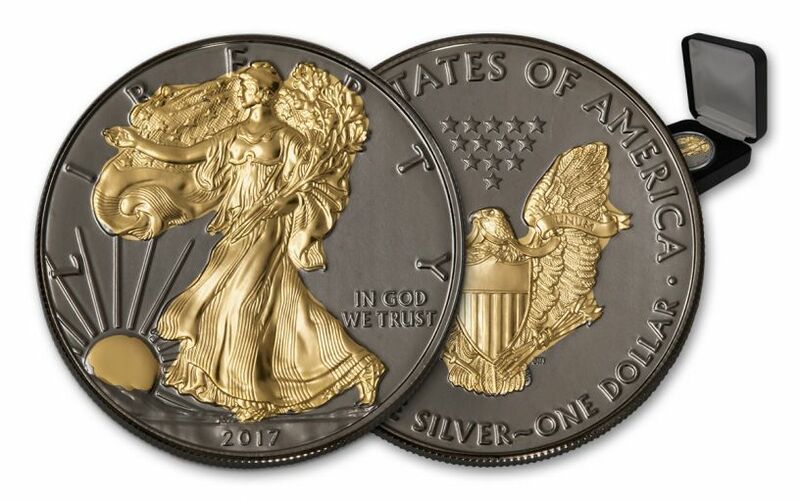 You’ve heard of black core holders, but what about a Silver Eagle completely clad in black and gold? 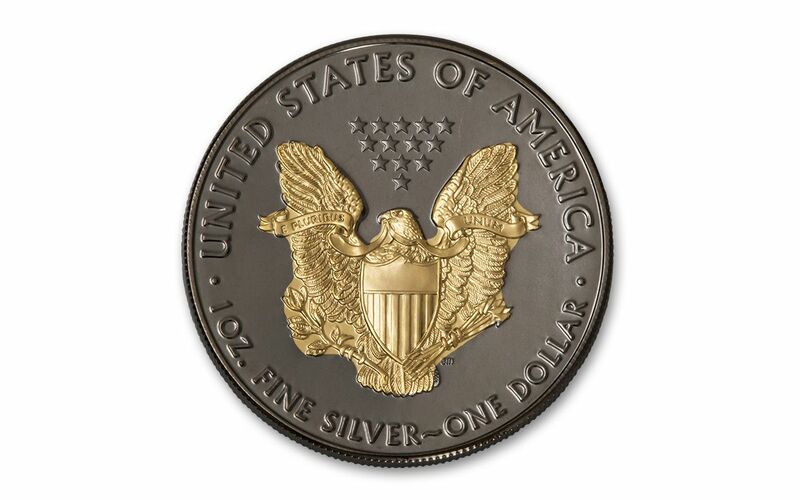 This incredible addition to your Silver Eagle collection has been lavished in the relatively rare metal Black Ruthenium. Discovered in 1844, Ruthenium belongs to the Platinum group on the periodic table, and sits just a few spots lower on the list of rare Earth elements. 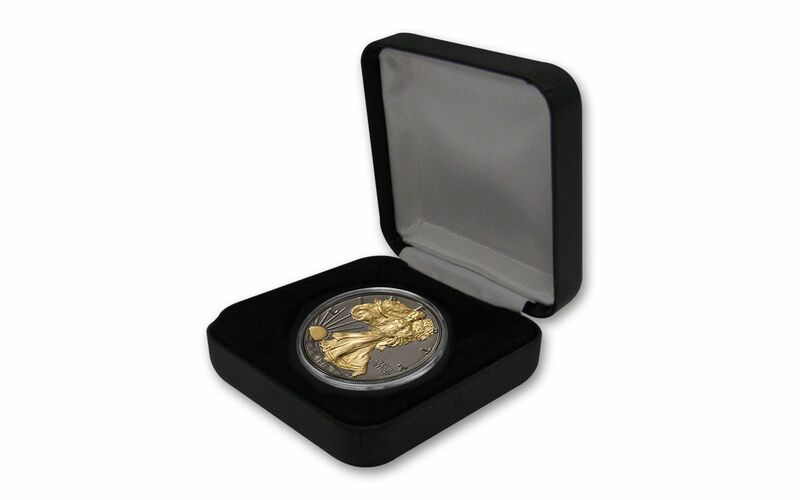 Plus, parts of the designs on both the obverse and reverse have been clad in stunning 24k gold, making them stand out in decadent fashion from the darkened fields! 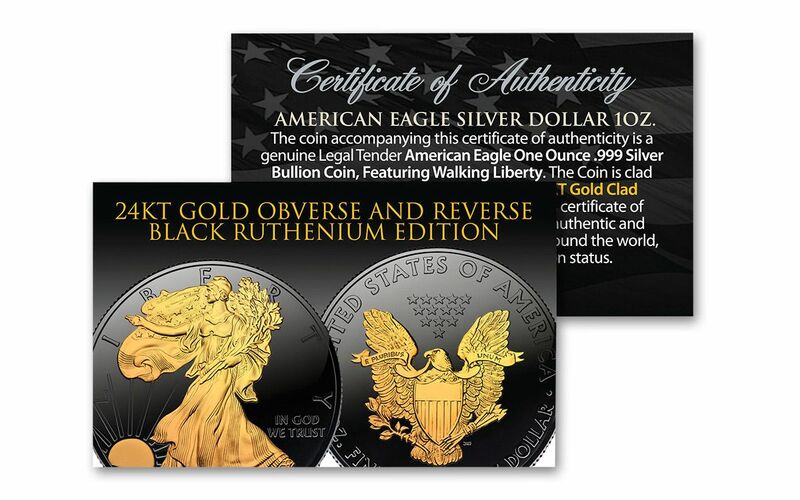 Each comes in Brilliant Uncirculated (BU) condition, housed in a black felt box. Collectors will be scrambling to add them to their collections, so secure yours now!